2011/05/review-troubled-man-by-henning-mankell.html, I agree with everything the blogger says." Then I could just point to the U.S. cover (which I don't like) and be done with it. But it's a peculiar book and I can't resist, in the end, saying a few things. In the Wallander books, Mankell is pulled between his global concerns and the daily lives of people affected by ordinary crimes. Sometimes the balance is excellent (as in the references to xenophobia in Faceless Killers, a topic that, in seeking a vehicle to address it, was apparently the reason he created the Wallander character in the first place. 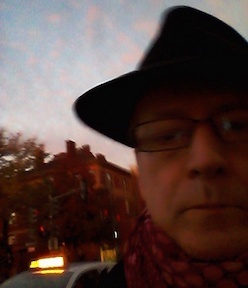 In others, to me, the balance is tilted too much to the global conspiracy (The Man Who Smiled, for instance). And in the non-Wallander books, I frequently find the "daily" aspect shortchanged in favor of the global theme. In The Troubled Man, the balance is achieved by an unusual emphasis on Wallander himself, and his aging in particular. There's a valedictory tone (noted by Maxine) in the memories and visitations from previous stories, and the detective's health is an ever-present concern, as well as the continuation of his argumentative relationship with his daughter Linda (now a mother). The global plot (which tried my patience a bit at times) is nevertheless well-realized in its own right, a twisty spy story of sorts. The father of Linda's baby introduces Wallander to his own father, a former naval officer who is obsessed with an incident from decades before in which Soviet submarines were detected in Swedish waters. We find out more than most of us will care to know about those submarine incidents, but rest assured that Mankell ultimately makes interested plot-content out of them, in a manner different from all the previous Wallanders. Wallander is pulled into a personal investigation (rather than an official one) when the former officer (Linda's father-in-law-to-be) disappears without a trace. Much has been written about the gloomy tone of The Troubled Man, and with reason. But the emphasis on only that aspect of the novel shouldn't put off readers (as it initially put me off): Wallander is as he always is, and the investigation proceeds at the usual ruminative pace, leading to a final confrontation that is as active as in any of the stories. As the Shade Point blogger suggests, this is not the book to begin with, no one should start the series here. But anyone who has appreciated the series in its book form, in particular, will be rewarded in the same fashion with this final volume. And the conclusion, much referred to in reviews in negative language, is not what I expected from that advance press (I won't give it away, but it's more respectful to the character than I expected from the reviews). So I've ended up saying more about The Troubled Man than I thought I might. Go read it, and let us know what you think (it offers more food for thought for both its story and its themes than most crime fiction). Glenn, that review at Shadepoint isn;'t by me! Mine is at my blog Petrona. The Shadepoint review is excellent, I agree. Maxine: Thanks for the heads-up, I was misled by Google, which put "Maxine" and the review in the same sentence. I don't in fact know who "Shade Point" is, does anyone else? I'm fixing the bad reference in the post above. I don't know who he/she is but the review he/she just wrote of a non-series Mankell is truly excellent. It is a blog that does not take comments, but he/she is on Twitter. From the blog description it is mainly a sci fi blog? But I've read some excellent crime reviews there recently, of eg Vargas. ....to give Wallander another 10 years of existence. But despite that I'm real glad I aint Kurt. He is his father's son unfortunately and in a sense the promise in the novel is that the Wallander curse may be broken because Linda has paid her own dues and the grandchild is an affirmation. As a study nonetheless of a man ageing fast , and being depressed about it, this is fine work. The memory losses, the diabetes, the passing of loved ones...what a bummer! 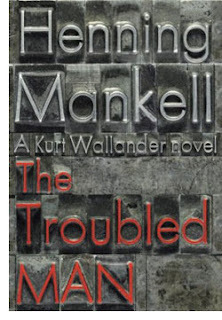 But the fact is, in Mankell's hands, Wallander's personality is inseparable from his investigative attributes. He canot help himself because, as we know, its' what keeps him alive. Thats' his fetish, his sentence. So Vale Kurt: thanks for the mysteries.